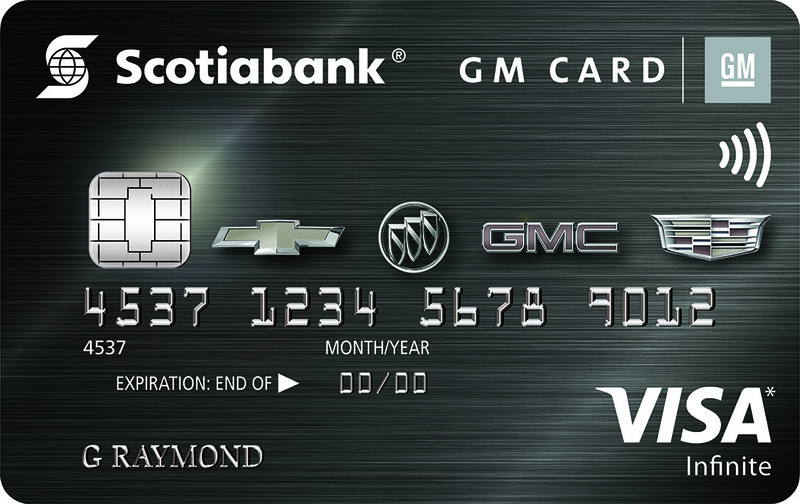 Rewards Canada: Talk to us about the Scotiabank GM VISA Suite of Credit Cards for a chance to win a $100 Gas Card! - Which GM vehicle would you most likely redeem your GM Earnings for? - What do you like best about either of the GM cards? The contest closes on Wednesday October 14th, 2015 at 11:59pm MST! Limit 1 entry per person Winner will be determined by random draw from all eligible entries received. Void where prohibited. No purchase necessary. The co-brand suite consists of two cards, the no fee Scotiabank® GM®* VISA* Card and the Scotiabank® GM®* VISA Infinite* Card. - $1 in GM Earnings = $1 towards the total purchase price or lease down payment of any eligible new Chevrolet, Buick, GMC or Cadillac. - Customers can start redeeming points at $1 and can combine GM Earnings with any in-market offers. Of course with that being said, you are limited as to where you can use your rewards. You have one option only and that is using the rewards towards a new car and that new car has to be a GM vehicle. So if you meet these two criteria for rewards, that is, you are eyeing a new car and you are likely to go GM then getting either one of these cards makes great sense. Don't travel much and hate annual fees, the no annual fee card makes great sense. On the other hand if you travel at least once per year (road trip, flying etc.) 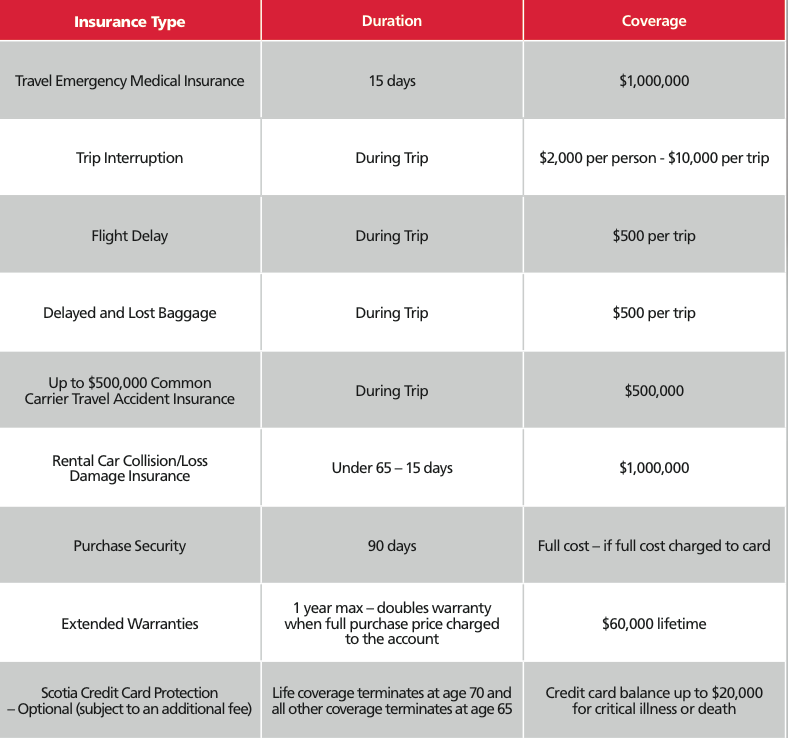 and don't have another card in your credit card portfolio that offers insurance benefits like out of province medical, trip interruption or flight delay then paying that $79 per year for the Infinite card is well worth it. The only thing we here at Rewards Canada that we see missing with these cards is a sign up bonus. 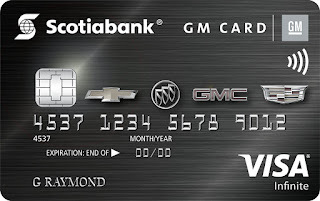 I believe Scotiabank addressed this with the 5% earn each year on the first $5,000 or $10,000 in spending but by offering even a small sign up bonus incentive like $25 on the no fee card and $50 for the Infinite could easily push a few more people to the cards and since those are one time costs they could be recouped relatively quickly in terms of fees collected from merchants when those members swipe their cards. - Earnings may be applied toward the Total Purchase Price or lease down payment of any eligible new Chevrolet, Buick, GMC, or Cadillac. The “Total Purchase Price” consists of the vehicle price (up to the Manufacturer’s Suggested Retail Price), freight and PDI, air tax, and applicable sales taxes. - To redeem the Earnings accumulated with a GM Card, customers can visit www.gmcard.ca and select “My Earnings” or contact the GM Card Reward Centre at 1-888-446-6232 to verify their total Earnings available. - Once verified, customers can visit any authorized GM dealer and choose their eligible new vehicle. After they have discussed the purchase price of the vehicle, but before signing the contract, they tell the sales representative that they want to redeem their Earnings. - The customer and the sales representative will then call the GM Card Reward Centre to confirm the total amount of eligible Earnings. 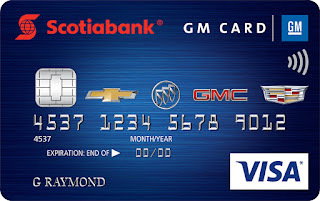 During the call, the GM Card Reward Centre will ask for the Primary or Secondary Cardholder’s information for authentication purposes and also obtain certain vehicle sale information from the sales representative and then provide the representative with an authorization number to complete the transaction. - Once the authorization number is issued, the Earnings amount will be deducted from the total purchase price or lease down payment of their new Chevrolet, Buick, GMC or Cadillac.